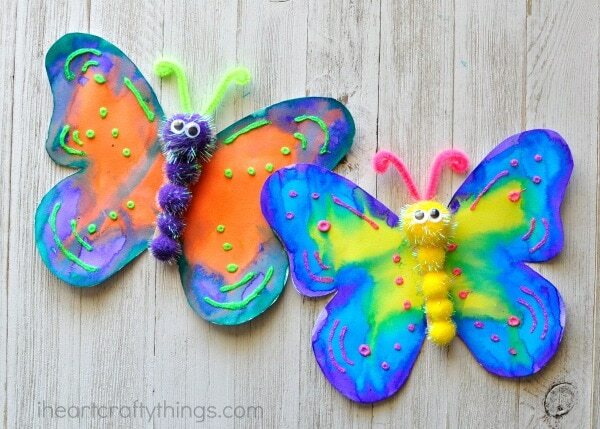 Spring time and gorgeous butterfly crafts go hand in hand together don’t you think? We’ve reached that point in winter where temperatures are getting a bit warmer and our flower bulbs are beginning to make their slow appearance out of the ground. I can feel spring in the air! 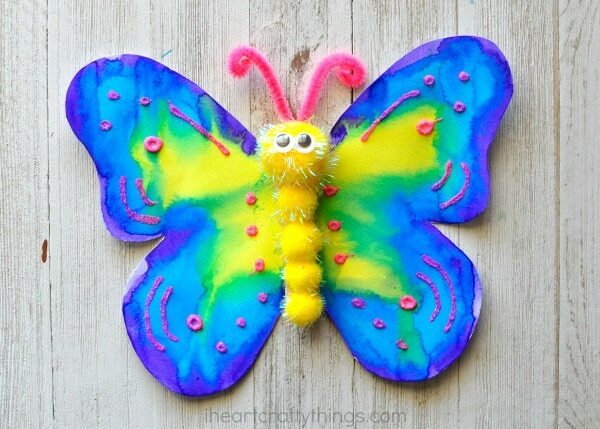 So today we are celebrating the beginning of spring by sharing how to make a gorgeous butterfly craft. 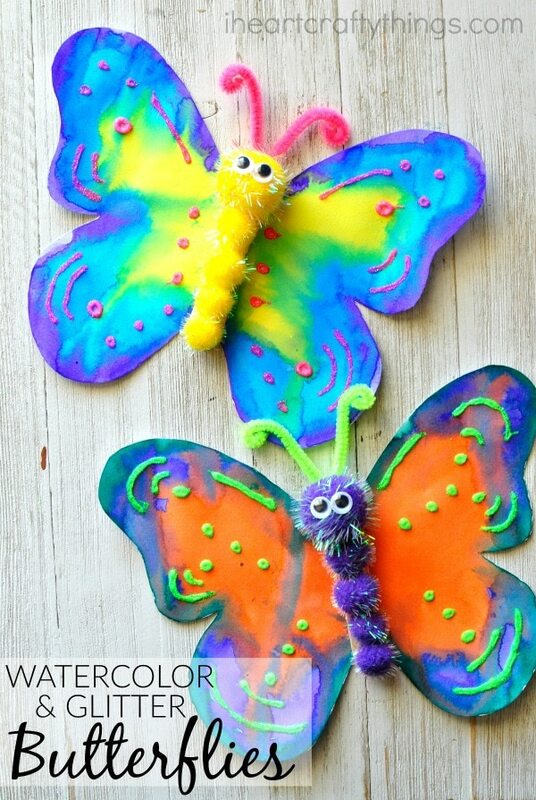 With watercolors, neon glitter and shimmer poms this pretty butterfly craft is to die for! 1. 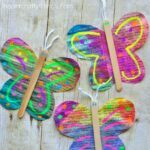 Begin by drawing the butterfly wings pattern on your mixed media or watercolor paper. 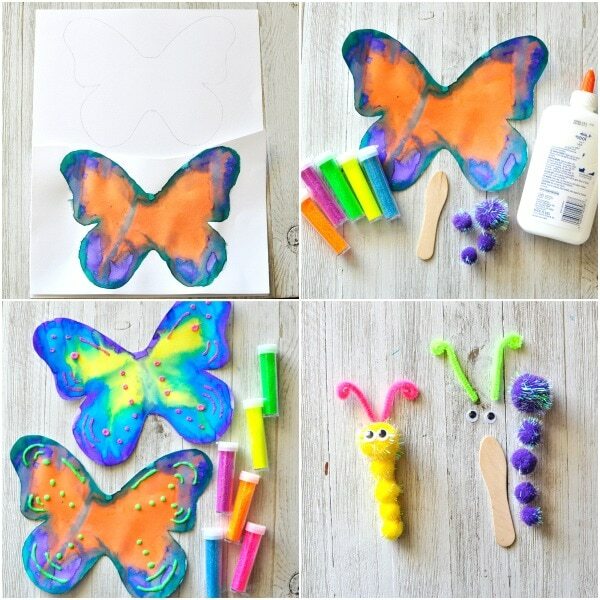 Use your liquid watercolors to paint the butterfly wings. When the watercolors have finished drying cut out your butterfly wings. 2. 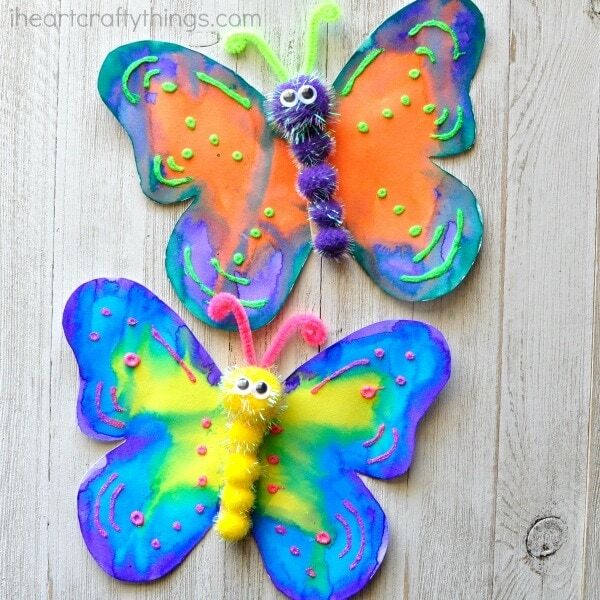 Add some fun lines and dot details to your butterfly wings with your school glue. Then shake neon glitter onto the glue. Shake off any excess glitter and set aside to dry. 3. Heat up your hot glue gun. For your butterfly body, grab a large shimmer pom and 4 medium shimmer poms and hot glue them onto the scoop stick. 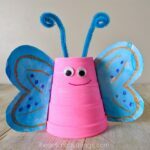 Cut two sections off your pipe cleaner, bend the ends down to make antennae and hot glue them behind the butterfly head. Then hot glue your wiggly eyes onto your large shimmer pom. 4. 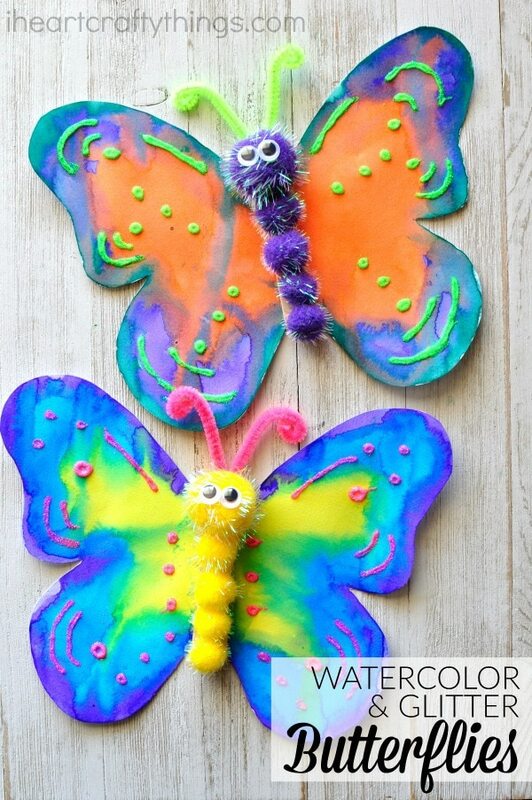 Finish your gorgeous butterfly craft by hot gluing the butterfly body in the center of the watercolor butterfly wings. Isn’t it stunning? These are so cute! I will definitely try them with my students. 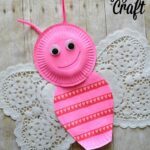 Really great craft project,I think my youngest would love making this!